usually my helper will make this. she is away (back home) for a month, so i made it myself this evening on 25.6.2015.
i was eating alone, so i cooked small rice, & since i was at it throw in a sausage & liver sausage while rice was steaming. and also fried a broccoli for a balanced diet. haha! salted fish though not very ideal for a healthy diet, lots of sodium, not to be take too often. i bought 2 packets of minced pork from sheng shiong. initially i was going to do a few dishes for my friends after a movie the next day. as it turned out they decided to have tea near orchard instead & happened that i also need to settle some urgent stuff on my company at the auditor’s office. so i used a packet (about 250g) & made the dish for my own dinner. minced a slice of salted fish (the kind from a bottle, about 3 slices in a bottle). cut a lot of sliced ginger (about 5cm piece) – i love lots of ginger. 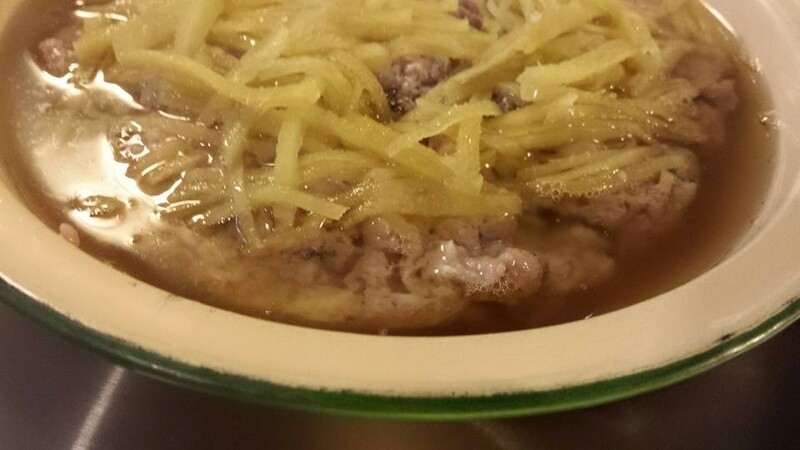 1 tablespoon of the brine from the salted fish bottle. no fish sauce etc. it was just salty enough. 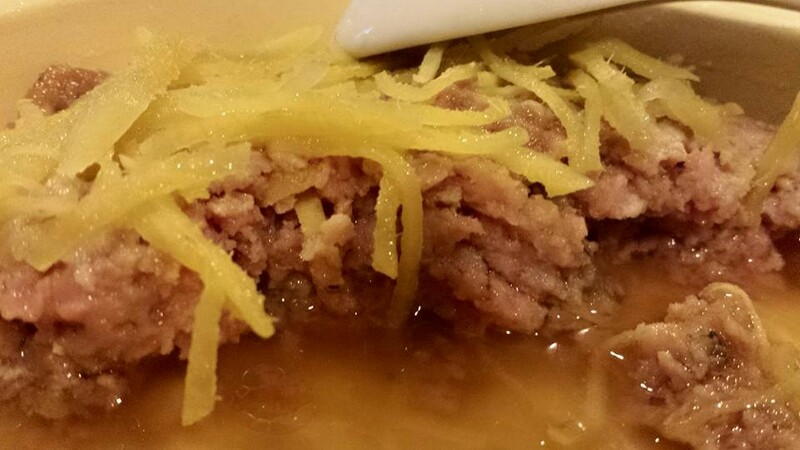 i mixed the minced pork, 1/3 of the sliced ginger & the minced salted fish & placed it in a metal dish for steaming. 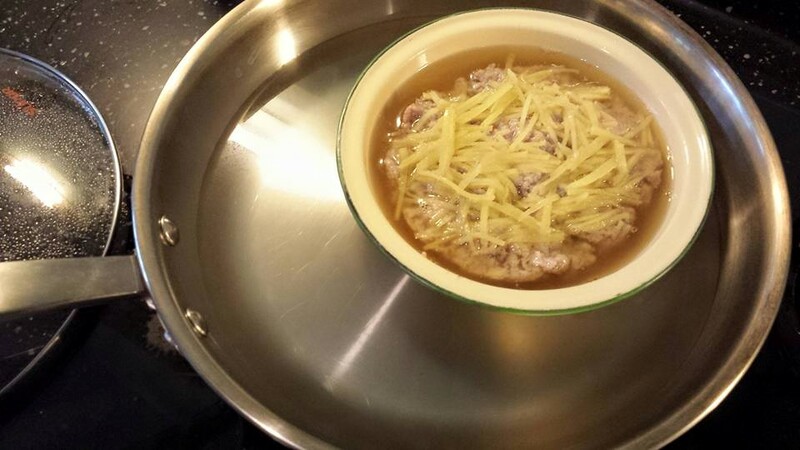 i used my heavy stainless steel pan & just placed the steaming dish in the water, covered & steamed for 10minutes (making sure minced pork is properly cooked). 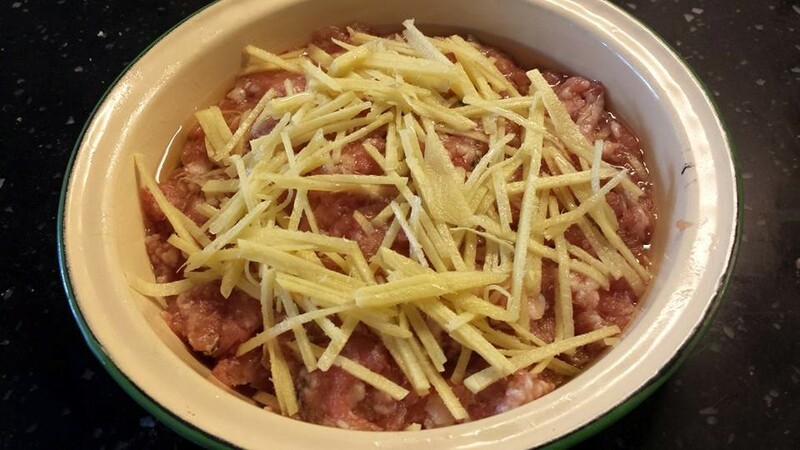 so easy to prepare & such a wonderful dish. 2 disadvantages being (a)the high sodium content (b)made me eat more rice than usual. 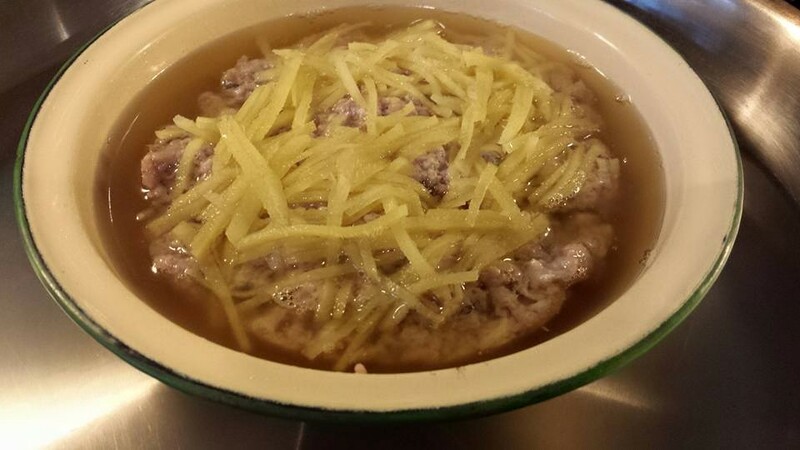 This entry was posted in Recipes and tagged broccoli, comfort food, liver sausage, minced pork, salted fish, sausage, sheng shiong, sliced ginger, sodium. Bookmark the permalink. looks great! I love steamed minced pork with salted fish, didn’t know it’s so easy to make, please recommend a good brand of canned salted fish thanks!